As we’ve all heard and experienced, this crazy heat wave has been quite unbearable. So you might be asking yourself why on Earth I would have wanted roasted veggies in 100 degree temperatures. For some bizarre reason I had a hankering for roasted veg! Only I didn’t eat them hot, I chilled them and enjoyed a sort of roasted veggie salad. 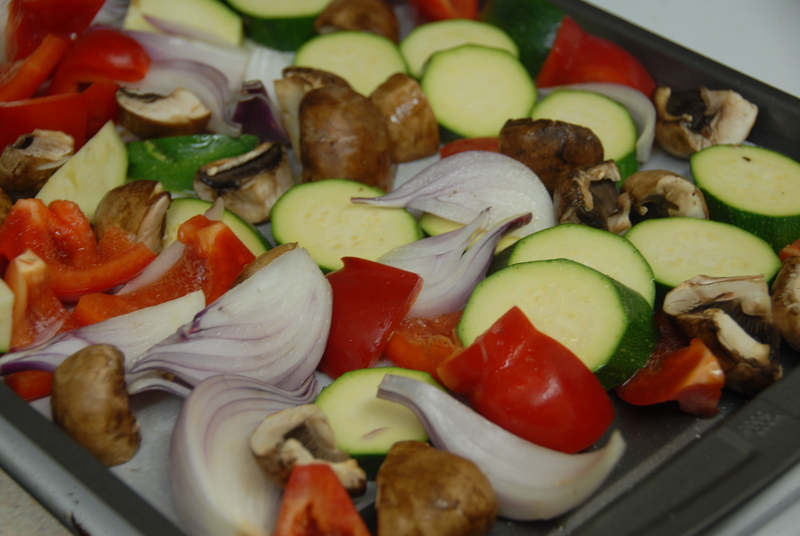 Cut the vegetables in like sized pieces and arrange on a baking sheet. Season with salt and freshly ground pepper and toss with olive oil (about 2 T should be enough to coat). Roast in a 400 degree oven for about 15 minutes. At this point toss vegetables around to get even roasting. Replace and continue roasting for another 10-15 minutes or so. The amount of time it takes to roast them will depend on the size of your vegetables. Keep an eye on them so they don’t go too far. Once they are nice and toasted on the outside and soft in the middle take them out of the oven to cool. At this point I made a dressing for the vegetables. Whisk the above ingredients to combine. 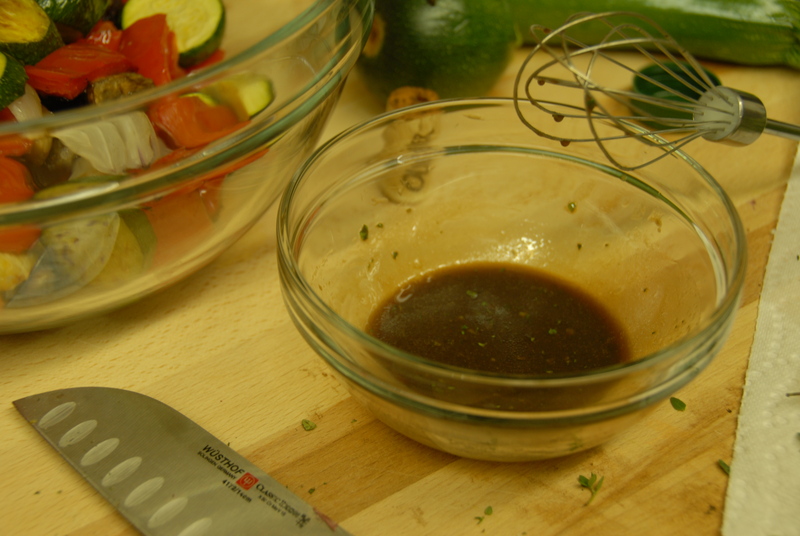 Add the finely chopped thyme into the vinaigrette and toss with the cooled roasted vegetables. 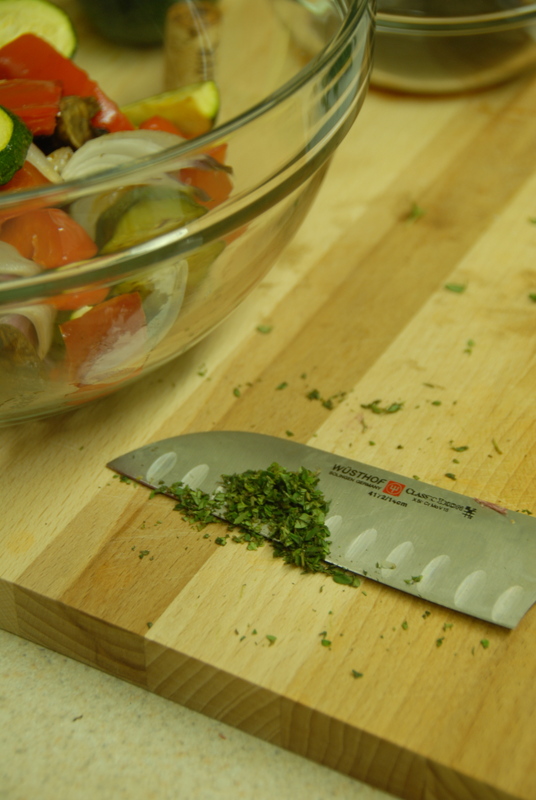 This makes a great side dish, salad or snack! I think in the future I’ll roast the vegetables with some thyme as well as S&P to get even more flavor. Don’t forget, this is an easy dish to create with any hearty vegetables and fresh herbs you come across at the farmers market! 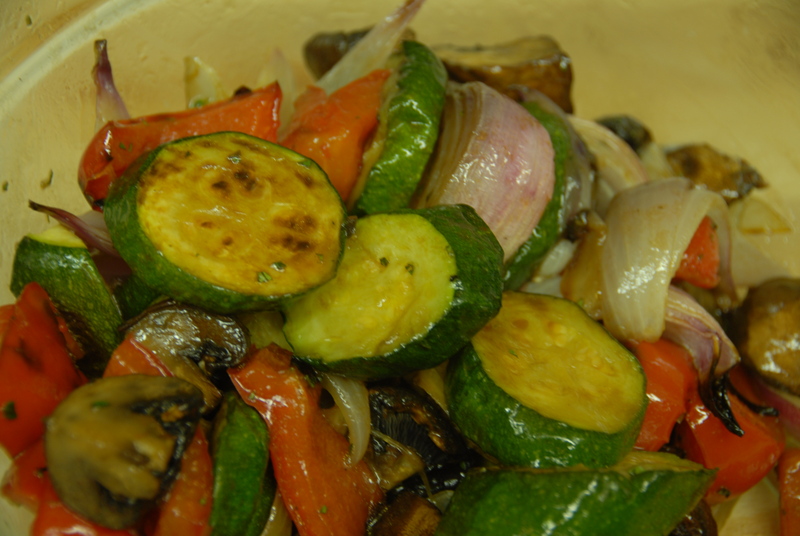 This entry was posted in Mushrooms, Quick & Easy, Summer Squash, Thyme and tagged balsamic vinegar, mushroom, red onion, red pepper, roasted vegetables, summer squash, vinaigrette, zucchini. Bookmark the permalink. I just made this with whatever vegetables were in the kitchen. And believe you me – I will do it again, my friend. Many thanks.